RFID Bloggy'n Tips: What is Building Components Database System (BCDS)? What is Building Components Database System (BCDS)? 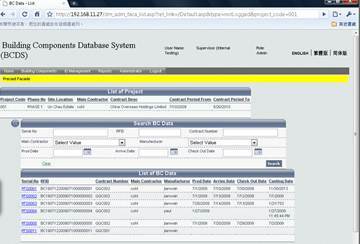 Building Components Database System (BCDS) is a RFID-enabled and a web-based software system. The goal of the BCDS is to keep track of RFID tagged items, managed information of items without significant human effort, increase work efficiency and productivity while maintaining the accuracy of building component status tracking. BCDS helps to maintain daily operations of managing building components with the help of RFID technology. Users can access the BCDS as a Web Application or by using handheld readers. It is used for retrieving items' status information. The system would track the item information, workflow records and reports that are generated based on the data stored in the BCDS. BCDS gives an Permanent & Unique ID to the basic building block precast "façade", which traditionally using hand-writing. The latest BCDS is not limited to Building Components (BCs), it also extends to the tracking of concrete test cube for material testing and building service equipment (BS) for asset maintenance. 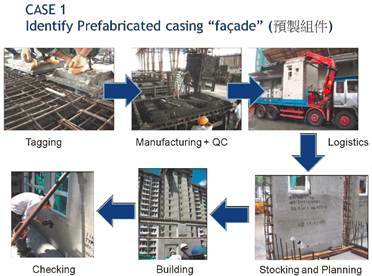 Commonly tagged BC items are precast concrete facades, aluminum windows and louvres, timber doorsets, gatesets, etc. Commonly tagged BS items are Pumps, water tanks, electrical generators, escalator, fire alarm, fire security system, etc. 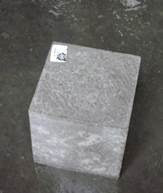 Please contact us for sales inquiry.